After months of wait, the new Nokia 3310 has finally been launched in the Indian market, with HMD Global announcing that the feature phone will be available at a price of Rs. 3,310. The handset will be available only in offline stores and will be available to purchase starting Thursday, May 18. Buyers will be able to get their hands on the Nokia 3310 in India in four colour options - Warm Red and Yellow (both with a gloss finish), and Dark Blue and Grey (both with a matte finish). It is also a collector's edition phone. There will (most likely) never be a Nokia 3310 V2 edition. Next year Nokia will not launch a new updated Nokia 3310. This is one special occasion. The company is trying to tell consumers that despite the name HMD Global, it is actually the same old Nokia that once made the iconic Nokia 3310. And it is doing that by giving the old Nokia fans a redesigned, re-imagined Nokia 3310. With the Nokia 3310 feature phone, HMD Global aims to cater to those who want a simple handset as their primary handset, as well as those who want a secondary phone. There is also a lot of nostalgia associated with the phone, which holds a venerated position in the hearts of people across the country. The modern Nokia 3310 version promises the same long battery life as well as the classic Snake game and throws 2G Internet access to the mix. The Nokia 3310 sports a 2.4-inch QVGA (240x320 pixels) colour display, compared to the 48x84 pixel resolution of the original. The handset runs on Nokia Series 30+ OS and comes with 16MB storage and supports expandable storage via microSD card (up to 32GB). On the back is a 2-megapixel camera with LED flash; the feature phone also offers FM radio. Nokia 3310 (2017) packs a removable 1200mAh battery that offers 22-hour talk-time and month-long standby time. 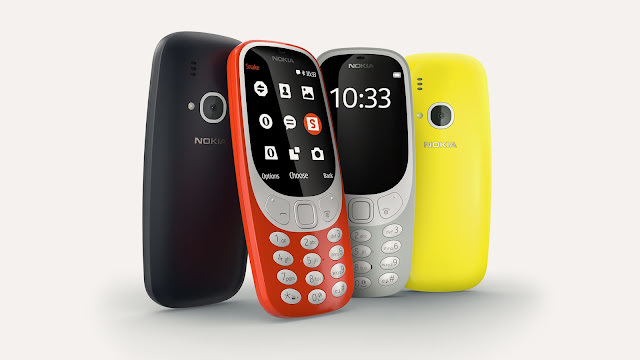 With the Nokia 3310 (2017), HMD Global also brought back the classic Snake game which has been optimised for the new colour screen.